From the publisher: "Working mothers constantly battle the pull to do all the things well. From managing work and home responsibilities to being impacted by a lack of self-care and time for deep friendships, the struggle is real. At the end of each day, many working moms are exhausted and stretched too thin. But this does not have to be the norm. Full of compassion and encouragement, Stretched Too Thin will empower women with useful insights and tools to thrive as working moms." Working mothers constantly battle the pull to do all the things well. From managing work and home responsibilities to being impacted by a lack of self-care and time for deep friendships, the struggle is real. At the end of each day, many working moms are exhausted and stretched too thin. But this does not have to be the norm. 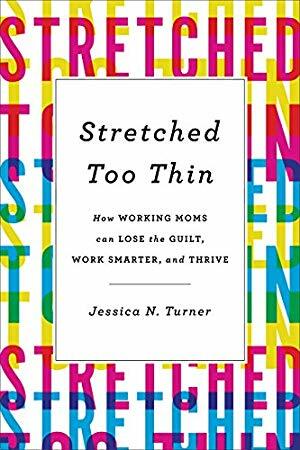 Full of compassion and encouragement, Stretched Too Thin will empower women with useful insights and tools to thrive as working moms.